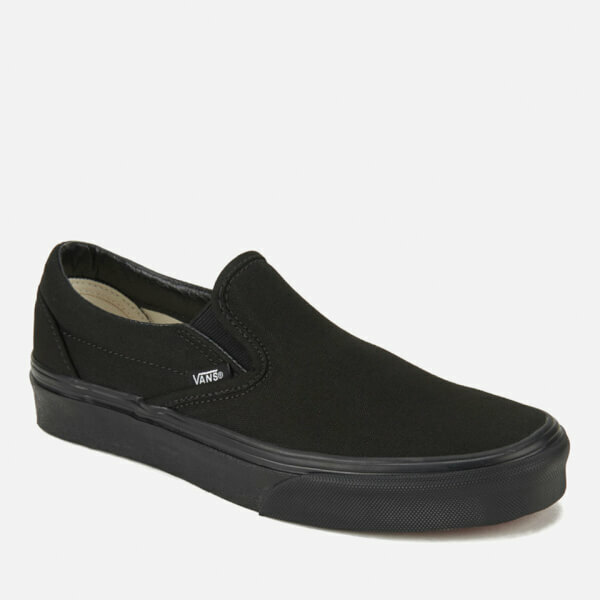 The Vans classic slip-on trainer is both stylish and practical. 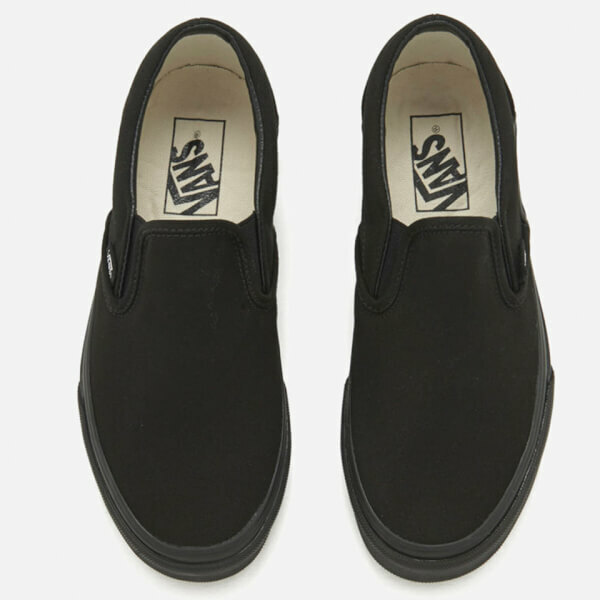 Created for men and women, the padded collar and insole maximise the comfort of these black canvas low top trainers. The small elasticated panels on the upper add to the comfort and allow the wearer to put on and remove these trainers with ease. 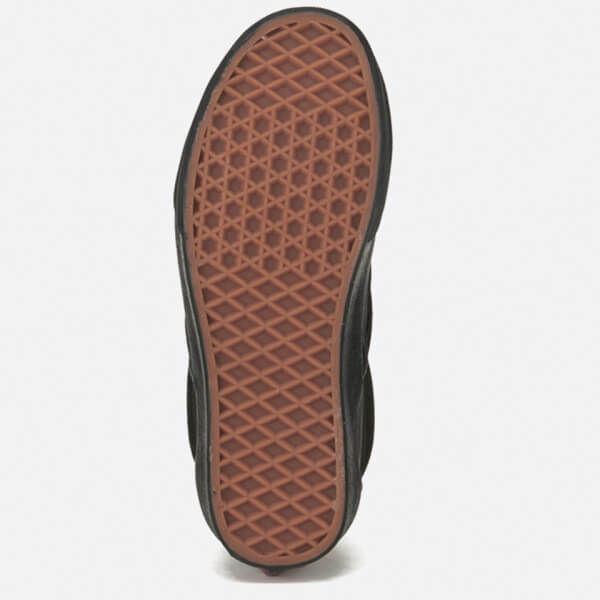 The sole is moulded from gum rubber and has been designed to be long lasting. 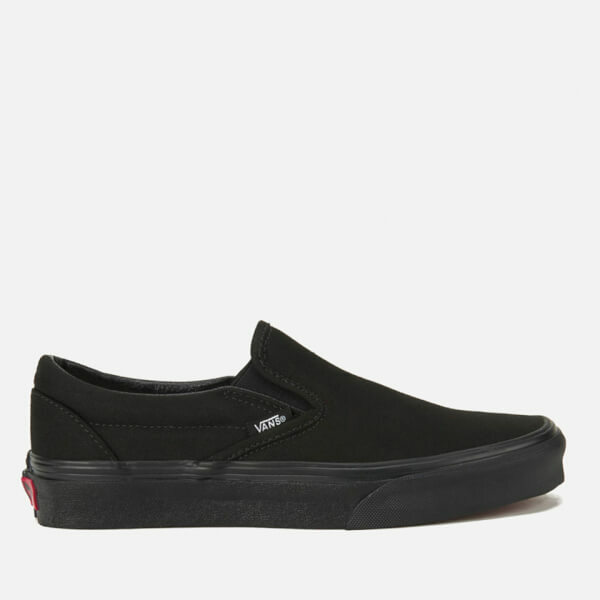 The Vans branding is visible in white on the upper of the shoe, and the same logo, in red, adorns the heel. Waking up lazy and need a go to pair of shoes I pick these comfy and snug and none of that laces nonsense. Really like them and all black goes with everything trust me these are the ones.